Warning! Some of the following post may be graphic and upsetting to some readers! As a going away gift, our friends graciously sponsored our going away party as we were about to depart Maryland. Roasting a whole pig was decided upon, as the idea has been floating around for a few years and this seemed like the opportunity. 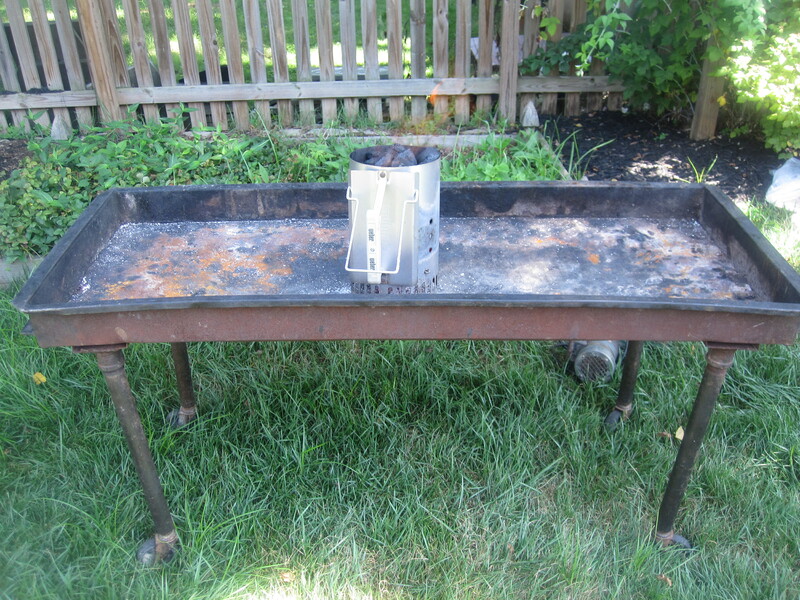 They were able to find good deals on a pig and renting an electric spit. We cook, eat, and talk about a lot of different cuts of meat on this site, but being in the whole form does seem to change things a bit. So proceed with caution, and I did omit many pics that could have made it far worse. 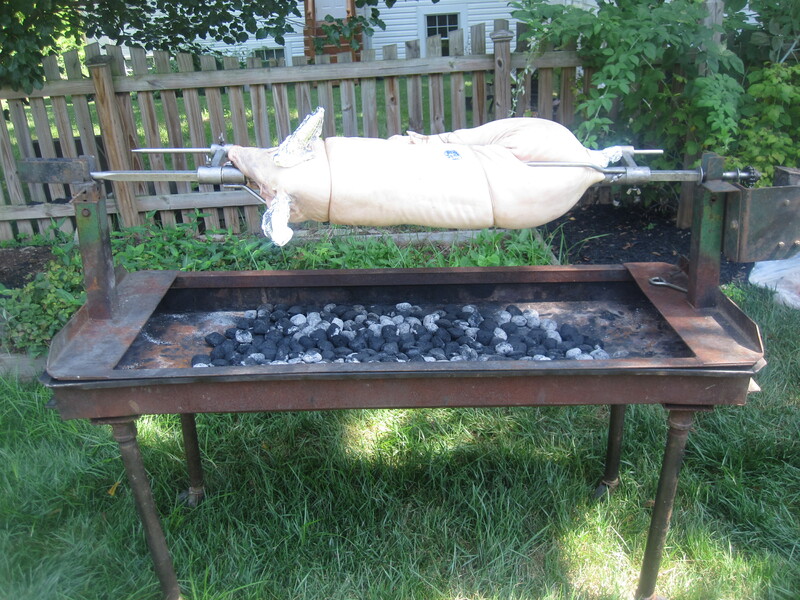 The first questions is, what kind of person desires so strongly to roast a whole pig? 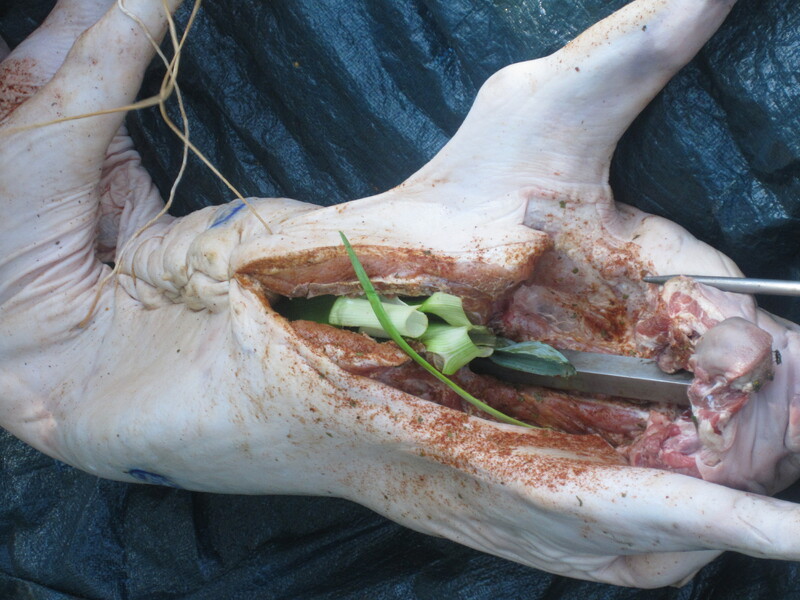 The pig weighed about 49 pounds and came pre gutted and basically all prepped for us. We added some seasoning and filled the cavity with onions, garlic and leeks. 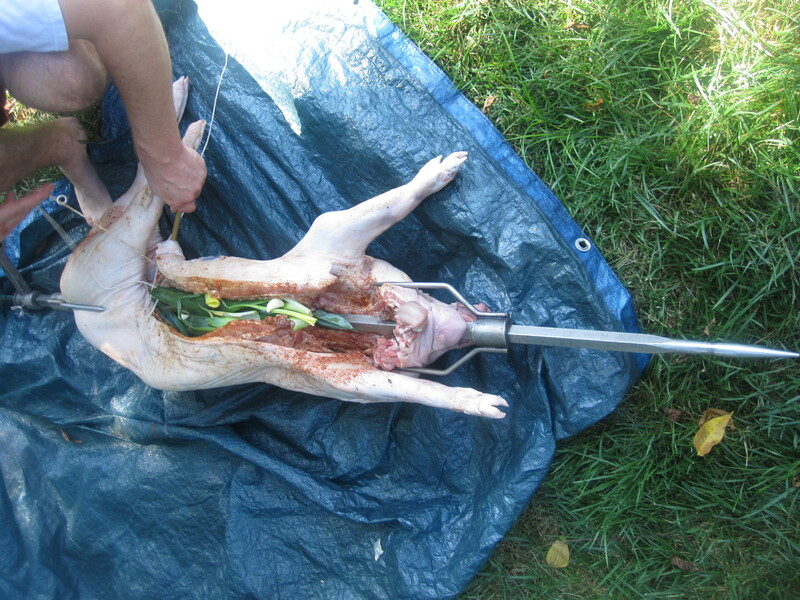 Then the pig had to be skewered and sewn up to keep the filling in. 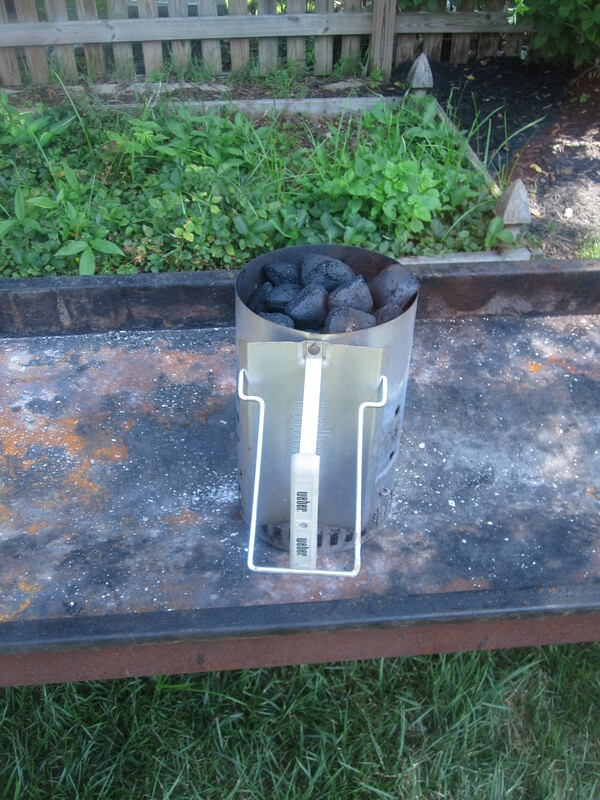 The rented spit was well experienced but did a great job once we messed around with it, formed it into shape, and got the right tension on the chain to the motor. 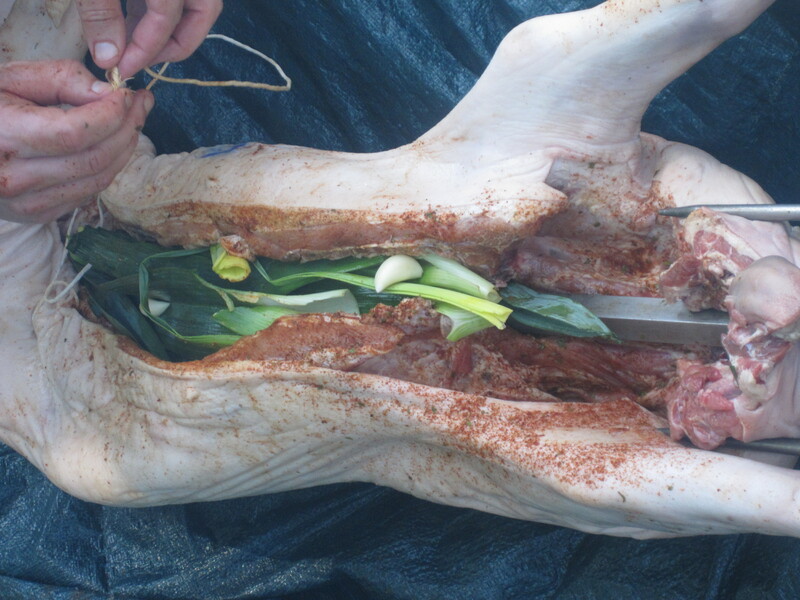 Once the pig was stabilized on the skewer and the coals had ashed over, it was time for the final assembly and a lot of waiting. What up dawg? 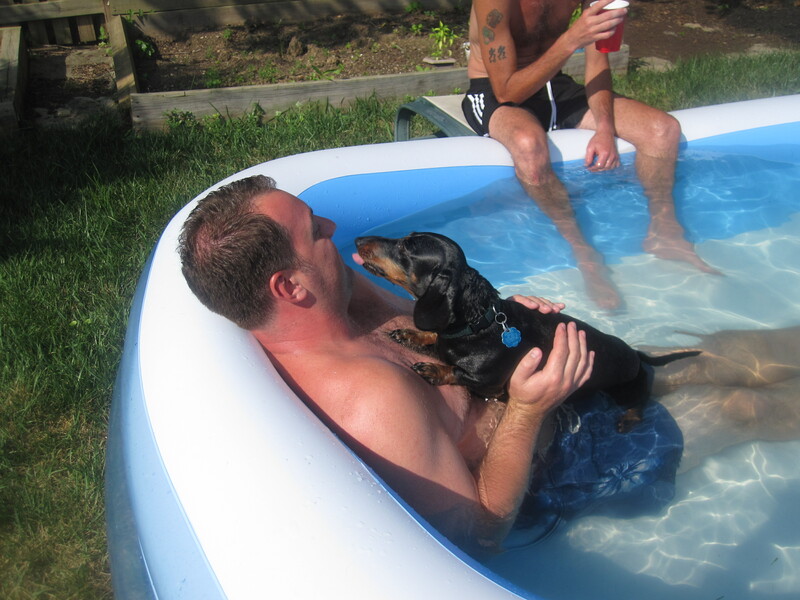 Ya know staying cool in the pool. 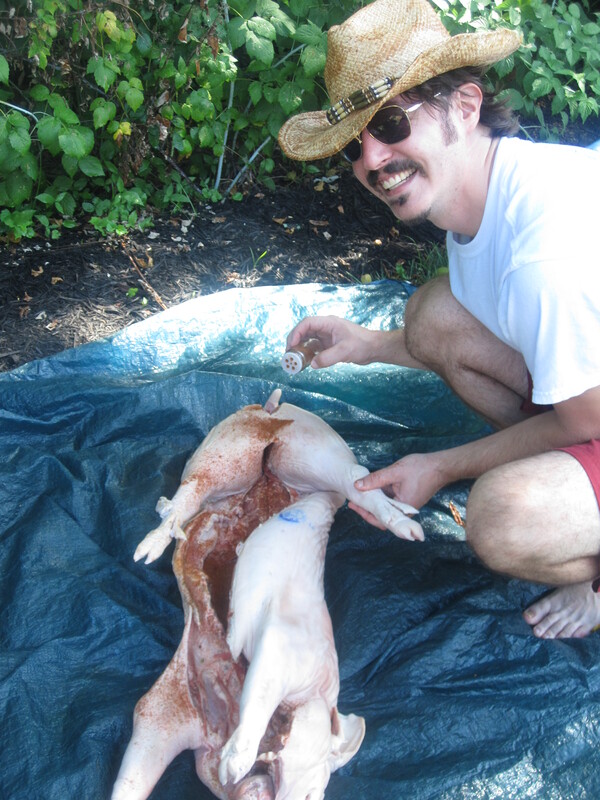 This is the last picture we have of the pig, which is about halfway through. It turned out great though and we will do even better next time! 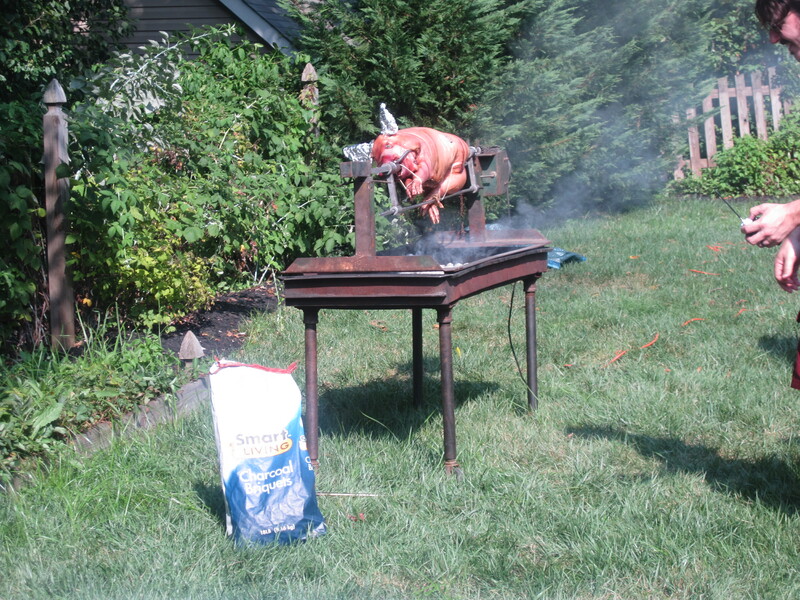 This entry was posted in Pork, Uncategorized and tagged American, bacon, Charcoal, Meat, Pig, pork, roast. Bookmark the permalink.